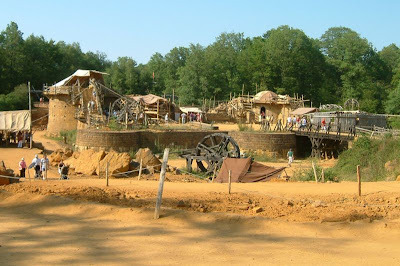 Believe it or not, Guedelon Medieval Castle construction started in 1999 and is slated to be completed in 2020. Only tools used during the Middle Ages are being used, which explains why the building process has taken so long. There is no electricity on site, therefore no power tools are being used by the 50 artisans working on the project. Situated near the quiet French town of Treigny in the historic region of Burgundy, this is not an archaeological site although it appears to be by tourists.